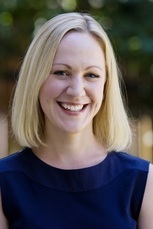 Kalyn Wiebe is a Registered Psychologist. She holds an MEd from the University of Calgary in School and Applied Child Psychology. Kalyn has worked with children and adolescents in the field of mental health for eight years and in specialized settings for the last six years. Her current area of focus is psychological assessment as well as the treatment of children with Autism Spectrum Disorder and other developmental disabilities. Angela Goertzen is a registered Physical Therapist in Alberta. She graduated with a Bachelor of Science Degree in Physical Therapy from the University of Saskatchewan in 1989. Angela has spent the past eleven years working in a specialized educational setting for children with disabilities. She also has experience working with children and their families in their homes. Her passion is assisting children with developing the building blocks of core strength and basic gross motor skills to allow every child the opportunity to be a participant in their family, with their peers and in the community. 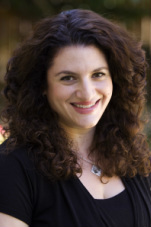 Nicole Segall is a registered Speech-Language Pathologist. She has a Master of Clinical Science in Communication Disorders from the University of Western Ontario and has been working with children with special needs since 1998. 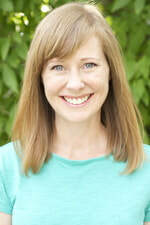 Nicole has extensive additional training in many different areas of communication and feeding. Her passion is working with families to help bring out the best in every child in a manner that is fun and engaging for everyone involved. Michelle Anderson is a Registered Psychologist. She has a Masters Degree in the field of Psychology with an emphasis on Child Development and Assessment. Michelle has been working in the Mental Health field for over ten years within both specialized educational and Clinical settings as well as home based programming. Her passion is supporting families and children to build upon their strengths in order to promote long term success and increases in family capacity. Dayna Jansen is certified and registered Occupational Therapist. She graduated with a Bachelor of Science Degree in Occupational Therapy from the University of Alberta in 2002 and a BScKin in Biomechanics from the University of Calgary in 1999. Since graduation, Dayna has been working with children with various diagnoses, including Autism, and developmental delays in educational and home based settings and in private practice in Calgary. She has pursued professional development extensively in areas of sensory processing, feeding, fine motor development, and has specialized training in various sensory processing treatment strategies. Having 3 children of her own, Dayna brings tremendous personal experience to her practice and values focusing on fun, playful and functional family & child centered approaches. Anne Robillard is a Registered Occupational Therapist (OT) who graduated from the University of Western Ontario with a Bachelor of Science Degree in Occupational Therapy and a Bachelor of Arts Degree in Physical Education. She has experience on both sides of the healthcare system as a provider and as a caregiver/advocate. Her extensive pediatric OT practice spans across hospital, community, research, school and private settings. Anne believes in building and supporting family capacity to enhance quality of life in a fun and creative way.